Hollywood loves the Barden Bellas. 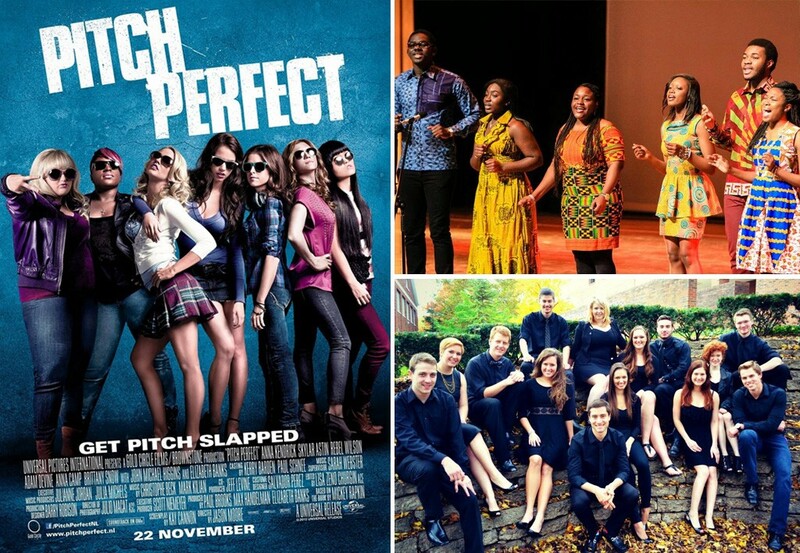 So do moviegoers, making “Pitch Perfect 2” the surprise smash of the summer and sparking plans already for another sequel to the a cappella-loving misfits. What’s not to love? There’s Fat Amy on a rowboat warbling Pat Benatar. And there’s awesome a cappella, sung from the heart with professional, awesome arrangements. The movie has proved there’s a diehard audience for great a cappella. But that shouldn’t surprised anyone, since they have a devout following nationwide at Michigan’s independent colleges and universities. Take Africapella, the powerful group from Calvin College of African singers like Emmanuel Gyimah. The student from Ghana says joining the group changed his life, helping him transform from a “very shy and reserved dude” and helping him make friends. And oh yeah, the music is hot too. “Everybody was nervous,” she said after her first performance. It’s tough not to smile or shake your hips watching their performances. The groups are just of many ways you can follow your passion and chart your own path at Michigan’s top 15 independent colleges and universities. Academically rigorous, the schools offer small class sizes. Their faculty are experts in their field and forge lifetime bonds with students who value communities over crowds. Often less expensive than public institutions, the independents boast higher four-year graduation rates and smaller class sizes for a truly unique and affordable experience.